The children visited Summit Springs Village on their first day of Vacation Bible School. 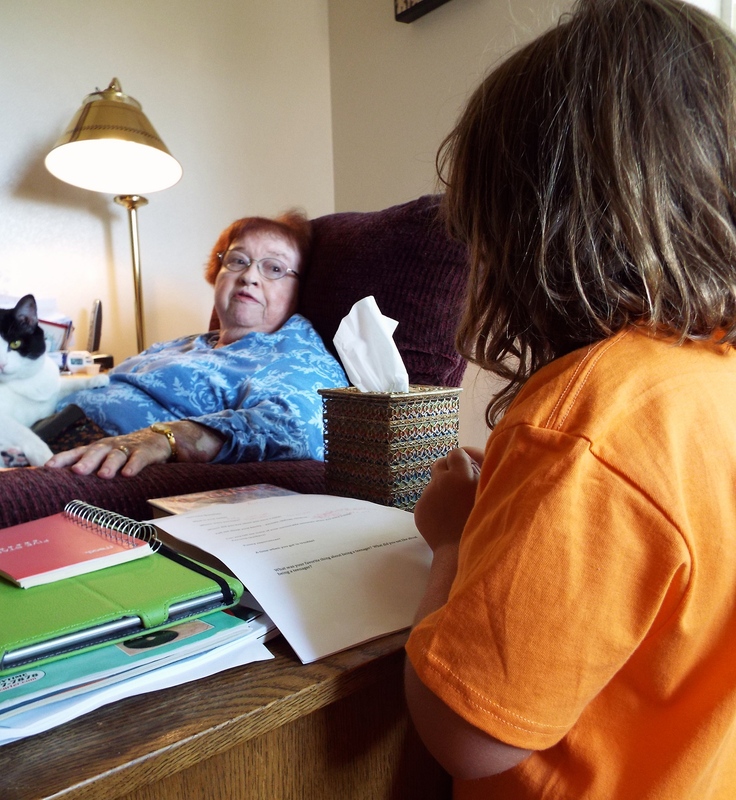 Each child spent time interviewing one of the residents. They will return Thursday to make a presentation related to the interviews and to sing. The scriptural focus for VBS is Mark 12:28-31. Our scriptures for Sunday come from Deuteronomy and from the gospel of Mark. Tim will give a brief message followed by a discussion, or talk-back as some like to call it. Please read and pray on Deuteronomy 10:12-22, 24:17-18 and Mark 12: 28-31 between now and Sunday. You can read them from the Common English Bible here or, if you prefer, read them in your favorite translation. Perhaps as you read them you might pray about God’s expectations of us in relationship to immigrants.